Gardening is a fast-growing trend amongst primary schools all over Western Australia. As early as 2013, The Sunday Times reported, 40 per cent of the schools within the state have incorporated gardening into their curricula. Professor Amanda Devine from Edith Cowan University reports that tending to garden beds in Perth broadens children’s horizons, makes them less fussy, and teaches them lifelong skills as well. This uptick in interest in gardening was driven by a multitude of factors, most notably obesity. A 2014 report by the Australian Institute of Health and Welfare stated that 25 per cent of children under 10 in Western Australia are overweight or obese. Experts warn that without prompt intervention, their unhealthy lifestyle will most likely follow them into adulthood. Gardening also gains more proponents as adults see the need to inculcate a green mindset amongst the future generation. By harnessing their green thumb, children learn to give back to the environment. Some even cook with their garden-grown veggies, thereby enriching their diets and simultaneously helping save the environment thanks to a low-carbon, garden-to-table approach. To make gardening enjoyable and feasible for young ones, experts suggest starting off with easy-to-grow crops like snow peas and carrots. These vegetables require minimum effort to plant and cultivate (e.g. snow peas don’t need trellises to grow, despite being a common practice). By growing their own crops, kids learn about patience, responsibility, and even self-confidence once their efforts bear fruit . To ensure that minimum effort is required, consider using raised garden beds in Perth. With an elevated garden bed, kids won’t have to spend the day crouching on the ground to dig into the soil and plant the seeds. Raised garden beds also make it easier to use gardening tools like spades and small rakes. Manufacturers like Rainfill Tanks and Curved Roofing Supplies design their raised garden beds with safety in mind. They make sure the bed doesn’t have sharp edges. Whilst their products often come in round and rectangular shapes, manufacturers can make the beds in any shape as requested. Schools that have yet to embrace this trend should seriously reconsider. 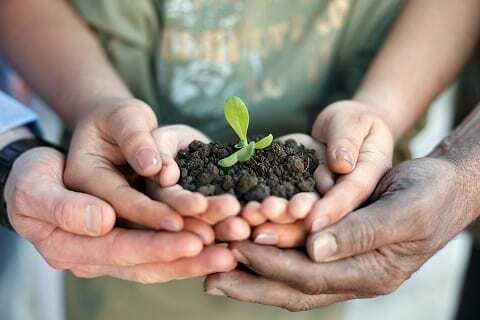 The world could certainly use a future generation of green warriors who are keen on the preservation of Mother Nature.